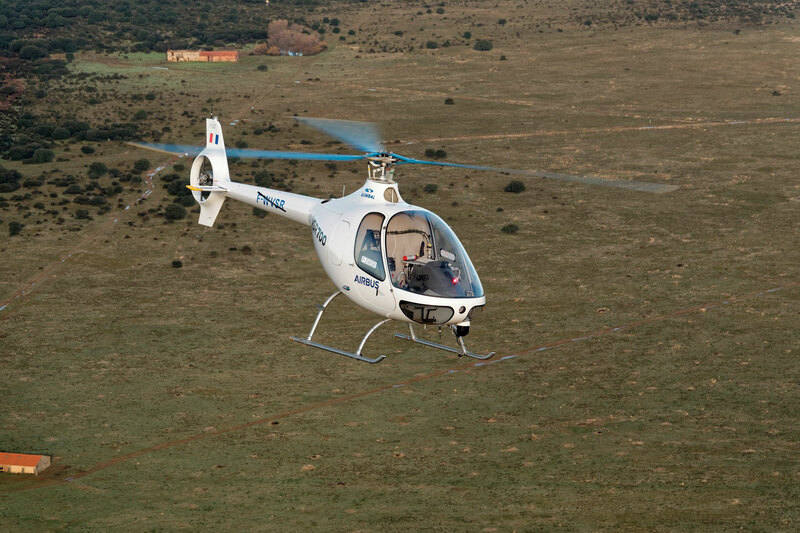 Airbus Helicopters has completed the first unmanned, autonomous flight of its VSR700 demonstrator “tactical vehicle.” The highly modified Helicopteres Guimbal Cabri G2 took off from the military airbase in Istres in the south of France. The VSR700’s 30-minute flight consisted of a variety of flight patterns before landing autonomously. The helicopter was piloted and monitored from the ground station located at the base. The helicopter had been flying autonomously since May 2017 with a safety pilot aboard. The aircraft is fitted with a diesel engine to meet military requirements and has an automatic flight control system designed to meet regulatory standards. The VSR700 is a light military tactical unmanned aerial system able to carry multiple payloads, with an endurance of around eight hours. The system will initially offer extended surveillance capabilities for navies, allowing them to preserve manned helicopter flights for critical missions. The VSR700 is designed to land on navy ships as small as corvettes, and successful sea trials have already taken place. The maintenance and repair center for Russian-made helicopters Helicentro Peru has been launched in Lima at the facilities of the Peruvian Air Force Maintenance Service – SEMAN. Built in partnership with Russian Helicopters (part of Rostec State Corporation), the center will provide maintenance for Mi-type aircraft. The official opening ceremony was attended by CEO of Russian Helicopters Andrey Boginsky and Chief Commander of the Peruvian Air Force Rodolfo García Esquerre. The facility will be used by Helicentro Peru to repair Mi-17 civil helicopters operated in the region, and by Russian Helicopters to overhaul Mi-17 aircraft of the Peruvian Air Force. “The establishment of the maintenance and repair center for Russian helicopters in Peru is of strategic importance – it will enable to provide the full range of work without taking out fuselages from the country. 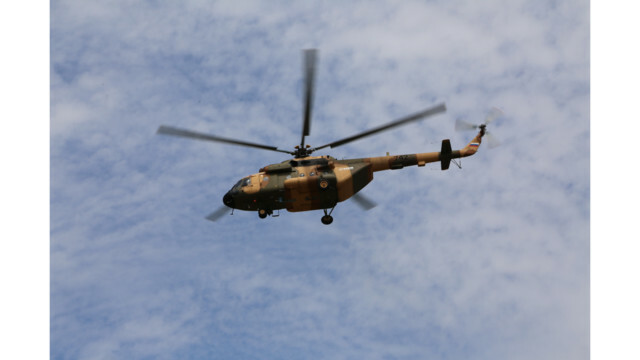 Although the center has just started its operation, it has already orders until 2023 – nearly 40 helicopters have been planned for repair during the next five years. In addition, the advantageous geographical location of Peru and the enterprise’s production capacity would enable to accept orders from other countries of the region,” noted Andrey Boginsky, CEO of Russian Helicopters. Airbus Helicopters, the France-based helicopter manufacturing division of Airbus, will establish a plant in Hungary to manufacture parts for helicopters, national news agency MTI reported late Monday, following hard on news earlier in the day of the Ministry of Defenseʼs order for 16 Airbus H225M helicopters. The plant will be built by 2021 and create several hundred jobs, MTI cited Minister of Foreign Affairs and Trade Péter Szijjártó as saying at a press conference Monday. The minister noted that there are two possible locations for the site of the plant in eastern Hungary. A final decision will be made at the start of 2019, after which the government will finalize an agreement with Airbus on supporting its investment with a government grant. Airbus Helicopters CEO Bruno Even said that in two yearsʼ time every hundredth helicopter the company makes will have Hungarian-manufactured parts. Szijjártó said the agreement between the government and the company involves the Hungarian military purchasing 36 helicopters from Airbus and the parties setting up a joint education and training program. Invert Robotics’ mobile climbing robots are adding new improvements and functionality thanks to recent customer feedback. New Zealand-based Invert Robotics has already simplified aircraft inspections with its mobile climbing robots, which can traverse aircraft surfaces to provide visual inspections in a fraction of the time it takes a worker to perform the same task at-height. Now—in addition to adhering to upside down or wet aircraft surfaces—the suction-based robots can climb on rough, uneven surfaces. The upgraded robots feature a new platform with enhanced suction, which enables the robots to climb on dirty or dusty surfaces. In addition, the company has made improvements related to the speed at which the robots can climb over lapped joints and other surface discontinuities, such as windows and damaged surfaces. According to a spokesperson for Invert Robotics, the new functionality has been added in the past few months as part of an ongoing commitment to expand the range of areas and environments the robots can operate in. Earlier this year, Invert Robotics partnered with SR Technics to use the robots forenhancing aircraft maintenance inspections. Although the MRO provider has discontinued testing of robot technology in its aircraft maintenance division for the time being, Invert Robotics says it continues to work closely with the company’s former CEO on identifying further applications of the robots. Invert Robotics plans to deploy these new capabilities within the industry in 2019. Pricing of the robots is on a case-by-case basis, depending on individual clients’ requirements. São Paulo, Airbus Helicopters’ Brazilian customer centre, Helibras has just delivered the world’s first ACH145 Line to the Brazilian company Bodepan Empreendimentos Agropecuários e Imobiliários. This is the fourth Airbus aircraft acquired over the last 26 years by Bodepan, which has already operated several models, including the EC135.With more than 220 aircraft operating worldwide, the H145 has consolidated worldwide and is strongly reaching the Brazilian market with a proposal of comfort, technology and versatility. “Inquiries about the aircraft have been growing, especially after the last LABACE, when we presented the first H145 in Brazil. This helicopter is the best biturbine in its category”, says Jean-Luc Alfonsi, Helibras Vice-President of Business and Services.”We are very pleased with the acquisition of this new model in terms of performance, space and design. The ACH145 will enable us to make our journeys more comfortable and carrying more passengers. As operators since 1992, we have full confidence in the brand”, states Mr. Odílio Bergamini. The ACH145 Line, previously known as ACH Stylence, features increased ergonomic comfort, acoustic insulation and innovative design. Its sliding doors provide easy passenger access and its spacious cabin allows for a variety of internal configurations. The luxurious interior of the delivered aircraft features 9 or 10 seats in perforated leather in tonal harmony with the carpets, special painting in the cabin and state-of-the-art digitally-controlled air conditioning.In addition to the shrouded tail rotor (Fenestron) and new engines (Arriel 2E), one of the big advances compared to the previous version of the aircraft (EC145) is the new concept of man/machine interface optimized through the Helionix™ digital avionics package,4-axis autopilot linked to the Full Authority Digital Engine Control (FADEC), which significantly reduces the crew’s workload. The companies shared their experiences with IFS’ enterprise resource planning software at the 2018 IFS World Conference. Enterprise resource planning (ERP) software provider IFS launched a number of new products this week at the 2018 IFS World Conference in Atlanta, Georgia. In addition to the rollout of IFS Applications 10, which contains more than 500 new capabilities, IFS launched Maintenix Fleet Planner and Maintenix Line Planner. Fleet Planner, which focuses on long-range planning for heavy maintenance activities, was co-developed and launched with American Airlines. Line Planner, which aims to help planners create, maintain and communicate line maintenance plans more efficiently, was co-developed in partnership with Latam Airlines. At the three-day conference, a number of aerospace and defense companies shared their experiences with implementing IFS software products. Read on to find out more about how the software is being used across the industry. As Latin America’s largest airline, Latam wanted to capitalize on its longstanding relationship with IFS by partnering with the software provider to create the new Maintenix Line Planner application. According to Robert Fischer, Latam’s director of IT, the airline came to IFS first about the partnership and now has the advantage of implementing Line Planner’s functionality months before its commercial launch. The application, which is meant to optimize efficiency of planning for line maintenance, has been in use at Latam since September 2017. IFS has leveraged users at Latam for rapid feedback and iteration, making tweaks as necessary. Diego Paredes, Latam’s deputy manager of continuous improvement, says the airline has seen a host of benefits since Line Planner’s implementation, including improved efficiency and the ability to define a specific day at the station in one click, which allows more time to make better decisions, improve planning and reduce operational risk. As the largest engine MRO in Australia, TAE Aerospace provides a large variety of products and services to customers all over the globe. To meet different customer requirements and international regulatory compliance, the company needed to find a single ERP system to pool its various divisions and requirements into one system. Starting in 2012, TAE implemented IFS Applications and has been using its functionality for maintenance, document management, supply chain, engineering and more. Working with IFS, the company has also found a way to integrate IFS Applications with its Fountx assisted reality system. Technicians using Fountx remotely are able to log jobs, use voice commands for tasks and input photographic evidence and validation. According to TAE Aerospace, benefits of IFS Applications include having a single integrated solution across all sites, improved business visibility and streamlined workflow management. The software has also helped TAE Aerospace stay in compliance with International Traffic in Arms Regulation (ITARS), Civil Aviation Safety Authority (CASA) and Defence Aviation Safety Authority (DASA). Southwest Airlines is currently in the process of implementing IFS Maintenix in its Tech Ops organization, which will be used to manage fleet compliance for the airline’s 737-700 fleet. This will include configuration control, compliance status and procedural controls while also streamlining business processes and increasing digital document usage, according to Southwest. The airline expects the Maintenix implementation to enhance visibility and provide greater control over increasing aircraft capabilities and complexity. Southwest’s goal is to go live with the Maintenix front end system in the first half of next year. Tsunami Tsolutions, which just won the IFS 2018 Partner of the Year Award, has been working with IFS Maintenix for more than a decade. The company, which focuses heavily on aerospace, provides IT support within a variety of industries-including supporting IFS products for multiple customers. According to Matthew Atwater, Tsunami Tsolutions CEO, the company handles everything from being the primary users of Maintenix for customers to providing conversion, reporting and processing of data from the system. Atwater says it boils down to helping customers get the information they need from Maintenix. According to IFS, Tsunami Tsolutions has successfully built more than 25 integrations of the company’s software solutions since joining the IFS Partner Network in 2017. So Carbonell wants to go further, making the AI engine smart enough to identify those holes and request the data to fill them from whoever has it. 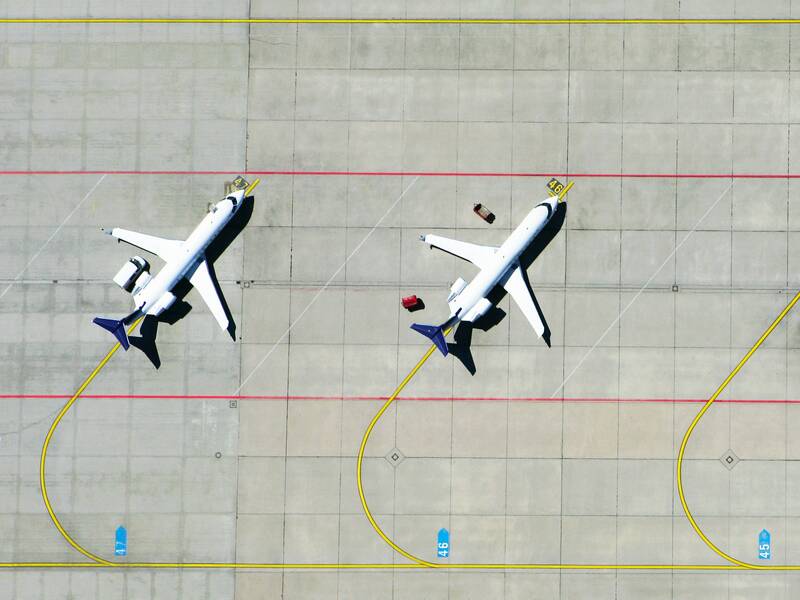 “If you have two airplanes that fly the same route in the same configuration, but they’re getting different fuel consumption readings, our systems will be able to cross-check all the parameters and dig down until it finds data that isn’t present but which is most likely to affect the performance—training protocols, for instance, or certain weather data—and then be able to request it so it can get to the crux of the issue,” Carbonell says. Baomar wants to build an AI-based autopilot that can respond reliably and correctly to whatever’s happening, while ensuring the human in the cockpit knows what’s going on. His team’s technology, dubbed the Intelligent Autopilot System, undergoes the same training human pilots go through. Using the high-fidelity, professional version of the desktop flight simulator X-Plane, the researchers are teaching their autopilot to fly a Boeing 777, subjecting it to severe weather conditions, engine failures and fires, and emergency landings or turnarounds. Avianca was also seeking a strategic alliance with German airline Lufthansa (LHAG.DE), CEO Hernan Rincon said late on Sunday, part of its bid to expand in Europe.Avianca representatives will travel to France in the coming days for re-negotiations with Airbus, Rincon said. Avianca had agreed to buy 100 A320neo planes to modernize its fleet. Technological advancement is part of the reason for the airline wanting to reduce its purchases, Rincon added. “The rhythm of technology is changing, it will take a while to get all of the order and we don’t want to have a commitment to planes with today’s technology which will be received by us in 10 or 15 years,” he said. A reduction in the original order, which was set to cost $10 billion, will also give Avianca some financial breathing room, Rincon added. At the end of last month Avianca, United Continental Holdings Inc (UAL.O) and Copa Airlines of Panama said they had finalized a three-way joint venture that will allow them to plan routes and fares together and share revenues on those routes. United, Avianca and Copa are already codeshare partners and Star Alliance members. The deal with Lufthansa would be similar to the one just agreed with United and Copa, Rincon added. Under the United and Copa agreement, United said it would provide a $456 million term loan to cash-strapped Avianca’s top shareholder, Synergy Group Corp. Loss-making Avianca has a roughly $4 billion debt pile, of which 40 percent is due within the next two years, according to recent financial statements. That deal still has to be approved by regulators. Avianca will also start operating a regional subsidiary in Colombia in 2019, meant to serve medium and small-sized cities with 12 ATR 42 planes. The planes are already part of Avianca’s fleet, Rincon said. Safety on aeroplanes is being put at risk because of a poor standard of English among foreign pilots, a report has found. Language proficiency is falling below the required international standards and there are grounds to suspect some pilots are cheating in English tests, according to the independent research commissioned by the Civil Aviation Authority (CAA) and funded by the Department for Transport. Rather than being examined, the report found some foreign language speakers had been granted certificates of English proficiency on “sweetheart” deals, through “handshakes” or “via friends”. The research, by academic Dr Barbara Clark, found “alleged evidence of cheating”, whereby a candidate had passed the tests after just 10 days of studying – a “nearly impossible” achievement. Some pilots flying in UK airspace “appear to lack the minimum proficiency in English”, the report said, while air traffic controllers outside Britain do not always have sufficient English to communicate with pilots even though they have been obliged to meet an industry standard since 2008. It must be emphasised that “language-related miscommunication issues are as important to aviation safety as any other issue”, such as turbulence or disruptive passengers, the report’s author added. It also recommended more language spot checks and making sure pilots and controllers used proper terminology rather than “plain language”. The report looked at 267 incidents of miscommunication, 89 of which occurred in the UK. On one occasion, possible language difficulties were cited in a situation where a plane taxied onto the runway at a Midlands airport without clearance from the air traffic controller. The Department for Transport said it was discussing the report with the CAA. The CAA told The Times it was studying the research and would work with the International Civil Aviation Organisation, which is responsible for the tests and international regulators. Nats, the air traffic control organisation, said any mistakes were taken very seriously and investigated. The ICAO said it was developing tools to help with “proper oversight” of English language test providers.